We know it’s not always easy to find the time to actually print your photos, even though you really want to(and doing so is literally good for you). So we want to help! This tip will help you wade through the hundreds of photos you have saved and select the ones that will make your day better as prints on the wall. Most likely you’ve taken many photos in the last few weeks and months, capturing memorable moments you don’t want to forget. You don’t want to accidentally lose these photos if your computer crashes, if your camera is stolen or if your dog eats your SD card! ???? Create a backup of your precious photos by saving them in several locations: on your computer, in the cloud (via Dropbox or Google Photo, for example) and/or on an external hard drive. Read this article for more detailed instructions on how to do this. Blurry photos, photos with a hand in the way, where people are strangely positioned… With maybe the exception of really funny photo fails, you won’t be printing any of these. Delete them! After deleting your photo fails, you may still have hundreds of photos. 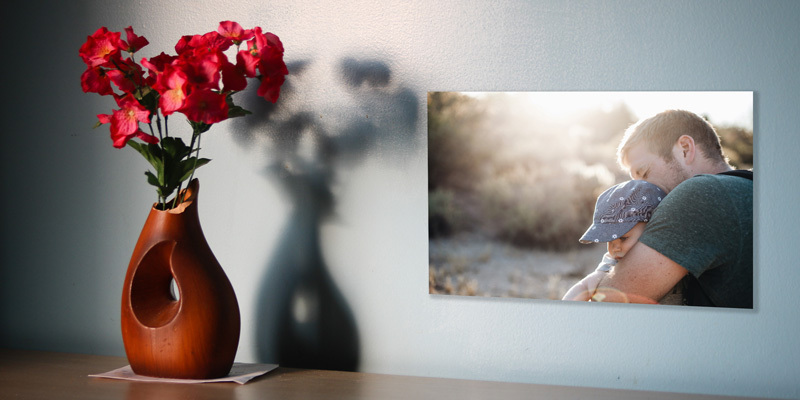 By making a first selection you’ll be able to quickly focus on the photos that are worth considering for a wall print. I use Lightroom for my first selection, rating each image with 1 to 5 stars. Check out this video by Adobe for more detail. You can also keep it simple by making a new folder on your computer (named: “Wall Print Photo Options” for example) and dragging in all the photos that make it through your first selection. 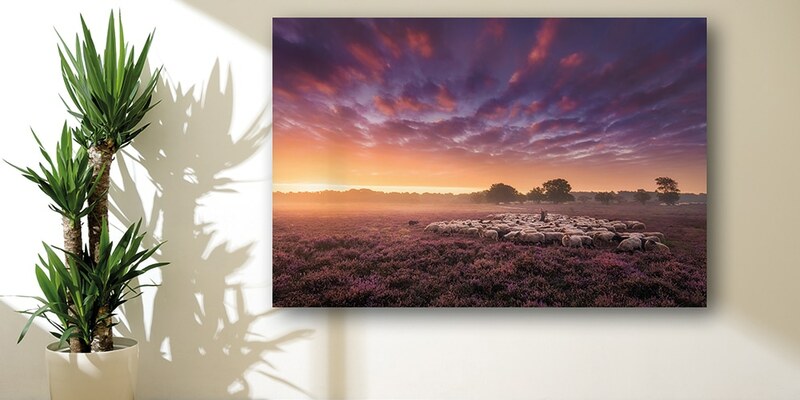 Photos with a good composition make the best wall prints. Go through your selected photos and choose photos that follow the basic composition tips (rule of thirds, balancing elements, etc). Read this article for a quick refresher on best composition tips. Most of the time, I choose photos with colors that complement the colors in the space where I want to hang them. But if your interior has more understated colors, you could give it a color boost with a bright photo (and vice versa). Include these photos in your final selection. Tip: Take a photo of your interior and Photoshop your selected photos above the furniture where they will hang to get an idea of how it will look! The photo’s colors compliment the colors of the interior. Do you have more than one photo of the same subject? Always choose the most sharp one and double check its sharpness by looking at it at 100% size. What matters most is how you feel when you look at a photo, not how perfect it is. Choose the photo that makes you the most happy! Choose a photo that recalls positive memories. Congratulations! 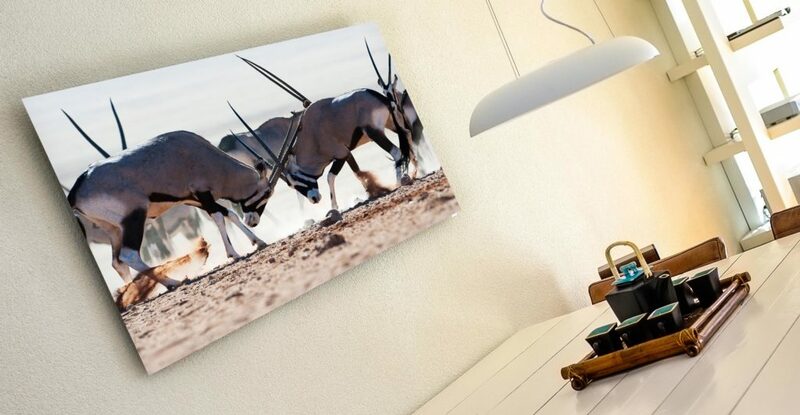 You know how to back up your photos, make a selection and are well on your way to creating a beautiful wall photo print. Keep going and soon you’ll be experiencing your photos as never before.